* Encourage appreciation for a multicultural society by encouraging participation, diversity, inclusion and equal opportunities. * Support the work of writers, poets, composers and journalists who practice the trade in countries other than their origin. * Unite the Hispanic community around the preservation of the Spanish language and promote the intangible cultural heritage as a legacy to future generations. The project includes the creation of 23 FILH for the following countries where Spanish is the official language or the second language: Argentina, Bolivia, Brazil, Chile, Colombia, Costa Rica, Cuba, Ecuador, El Salvador, Spain, Guatemala, Honduras, Mexico, Nicaragua, Panama, Paraguay, Peru, Puerto Rico, Dominican Republic, Uruguay, Venezuela, Guinea Equatorial and the United States. FILCOL – Director Pilar Vélez. FILVEX – Director Massiel Alvarez. FILDOM – Director Edgar Smith. 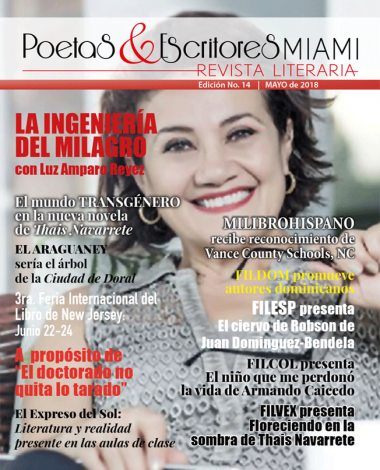 FILECU – Cultural Ambassador for Galapagos Islands, Flor Viviana Naranjo Freire.